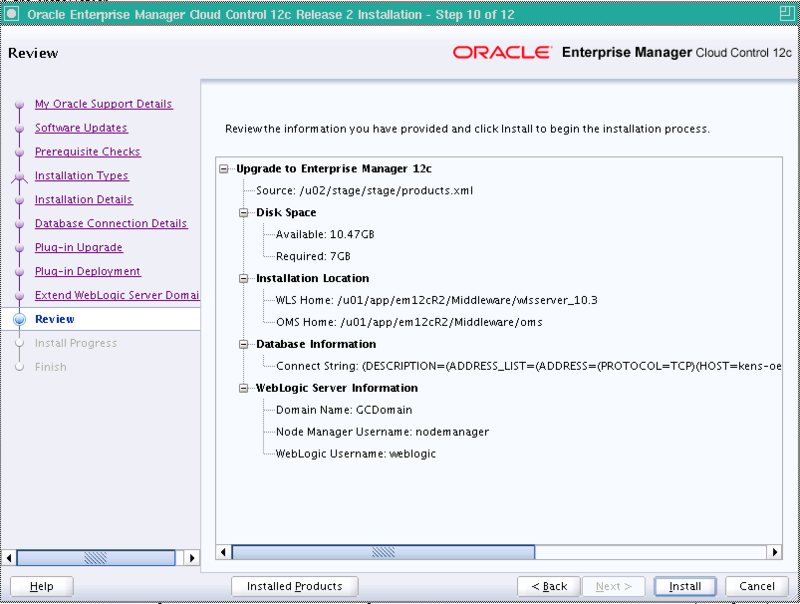 I recently upgraded EM 12c version 12.1.0.1 to EM 12c Release 2 (12.1.0.2) on a Linux 64 bit platform. Here are few of the things to keep in mind and some notes I made which may be helpful to others planning the similar upgrade. 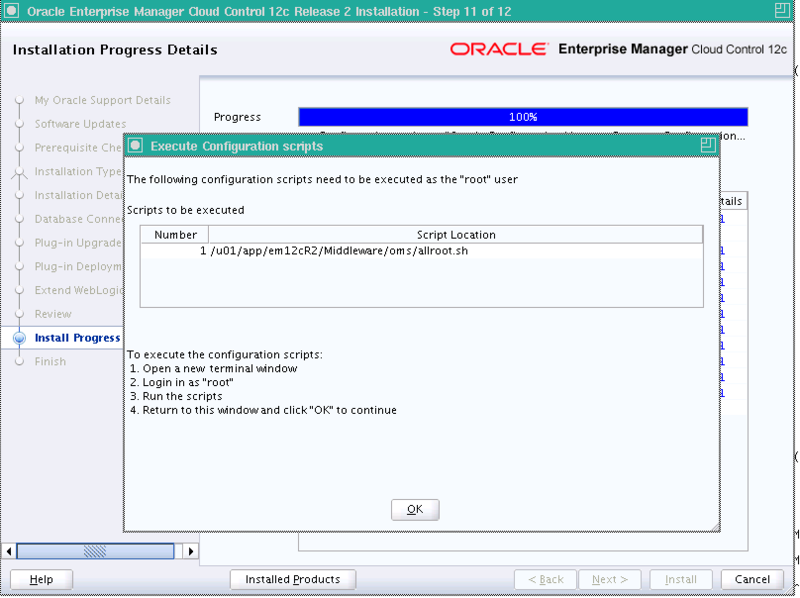 The 12c Release 2 software is made up of three zip files. Ensure we have between 10-15 GB free in the stage area where we are going to unzip the files. 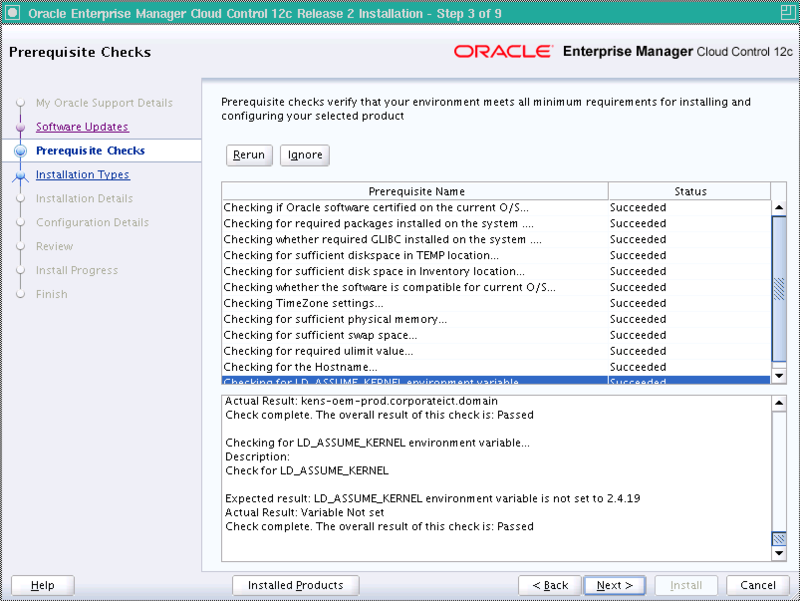 The 12.1.0.1 to 12.1.0.2 upgrade is an out of place or what is called a 1 system upgrade. 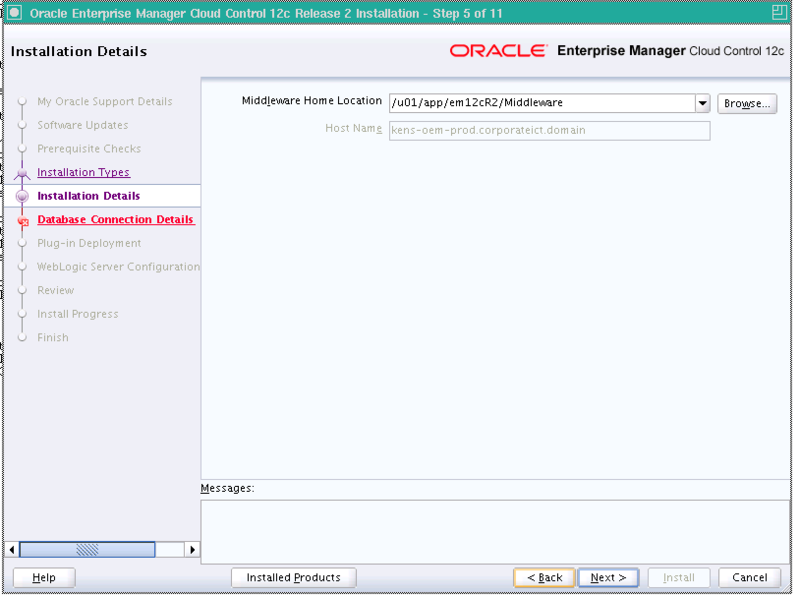 Ensure we have at least 10 GB free on the OMS host for the 12c Release 2 Middleware Home. 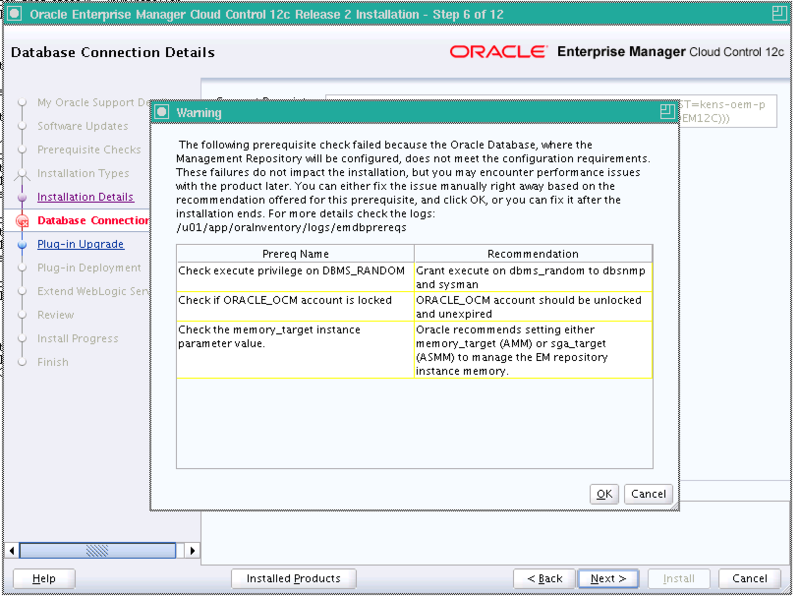 When we upgrade the 12c management agent we also need to ensure that there is a minimum of 1 GB of free disk space in the 12c Release 1 Agent Home. 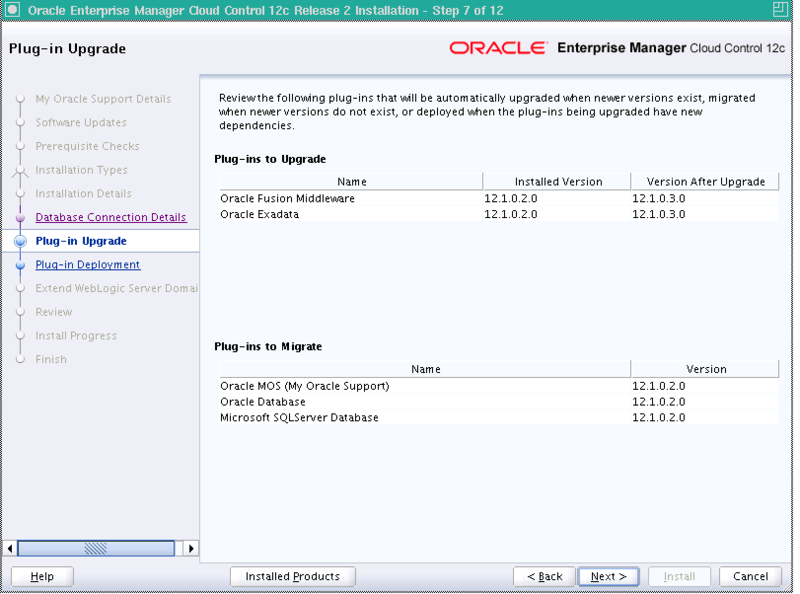 Ensure that we have take a backup up the 12c Release 1 OMS (the middleware home and the inventory), the Management Repository, and the Software Library. 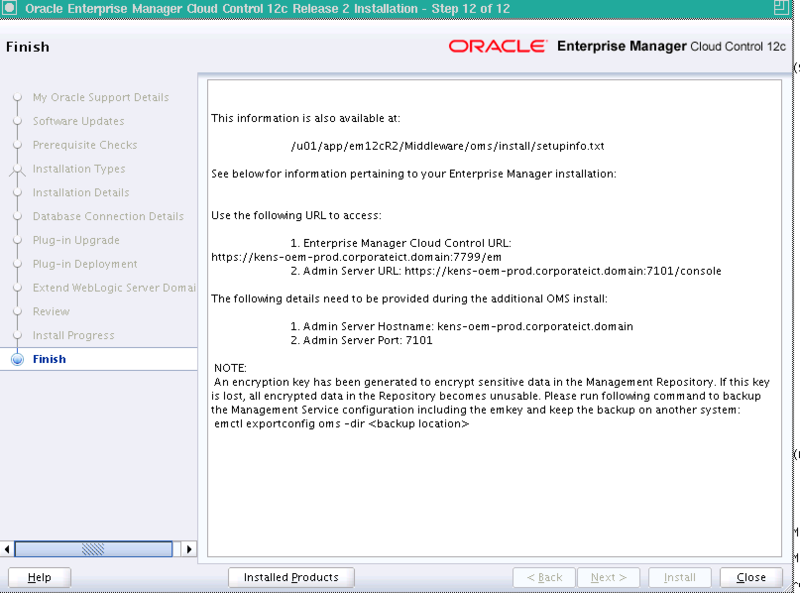 After the required operation has been completed, secure the EMKey by running “emctl config emkey -remove_from_repos”. 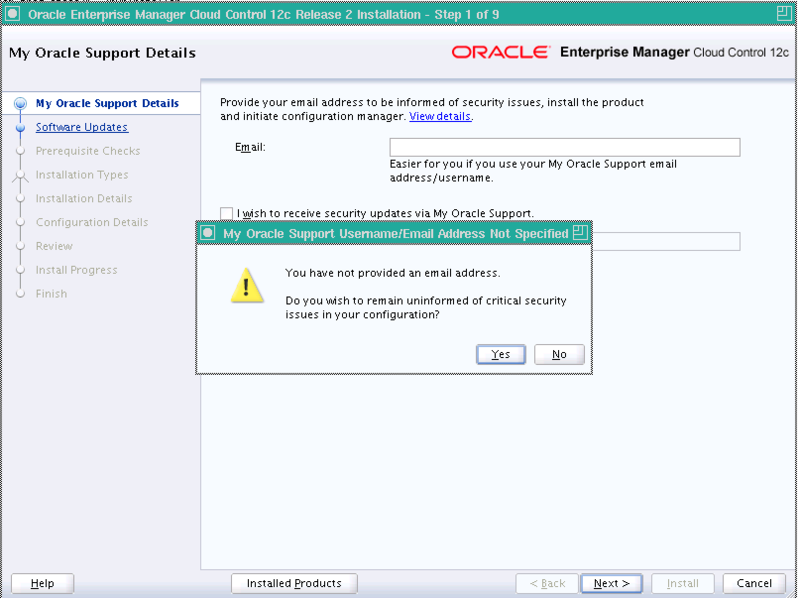 The EMKey is configured properly, but is not secure. Secure the EMKey by running “emctl config emkey -remove_from_repos”. 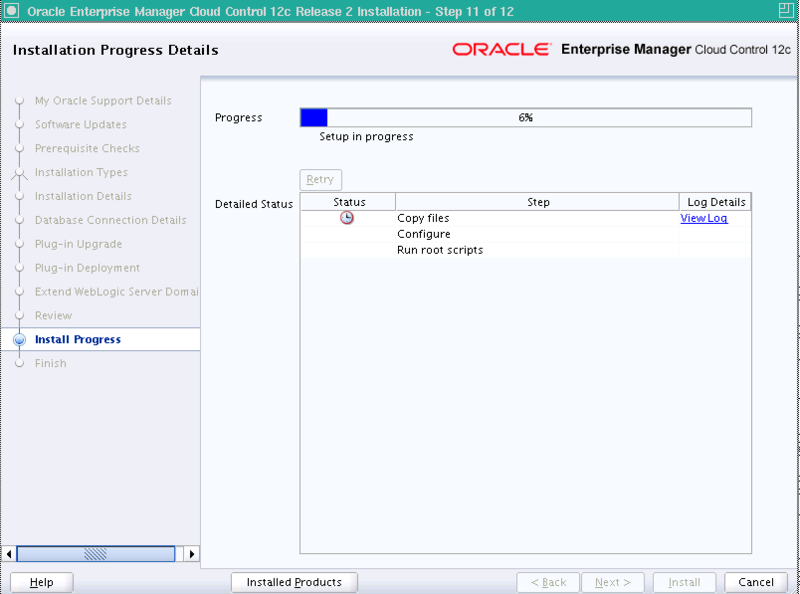 Launch the 12c R2 installer from the location where we have unzipped the 12.1.0.2 software. At this point we need to stop the OMS. 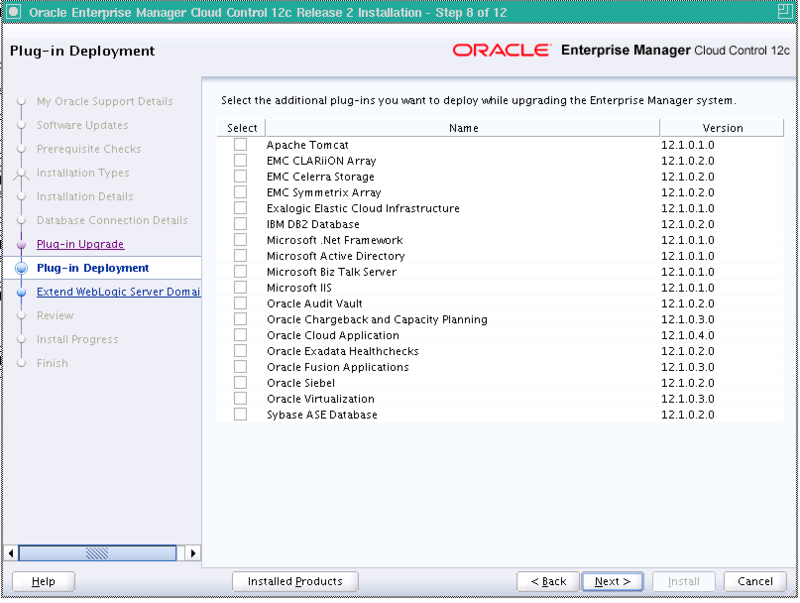 The deployed plug-ins are upgraded if newer versions are available in the Enterprise Manager Cloud Control 12c Release 2 (12.1.0.2.0) software. 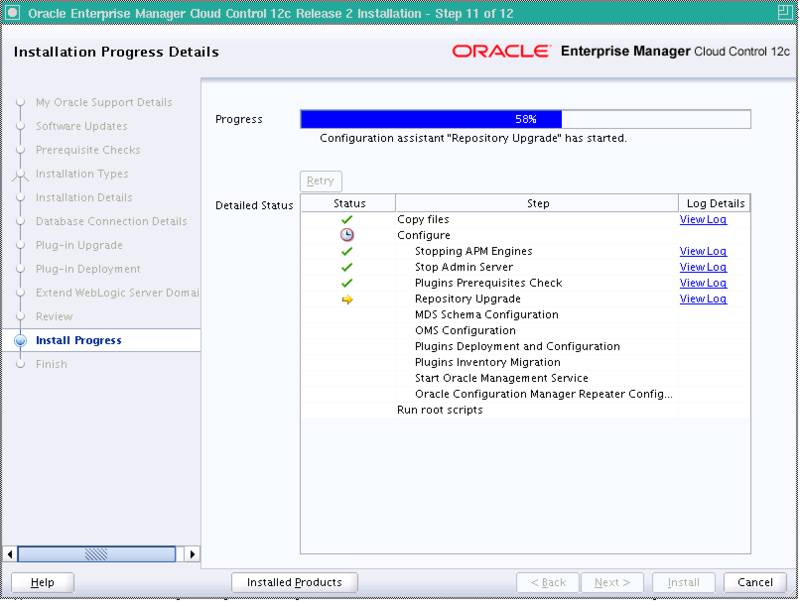 If newer versions are not available in the Enterprise Manager Cloud Control 12c Release 2 (12.1.0.2.0) software, then existing deployed plug-ins are carried over without upgrading them. 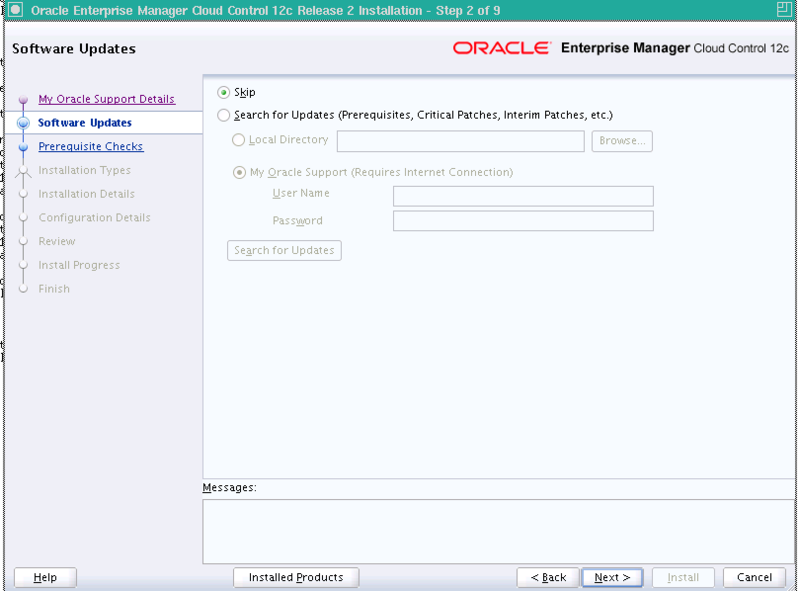 Java Development Kit (JDK) 1.6 v24 and Oracle WebLogic Server 11g Release 1 (10.3.5) are installed by the upgrade process if they are not already available in the Middleware home we specify. 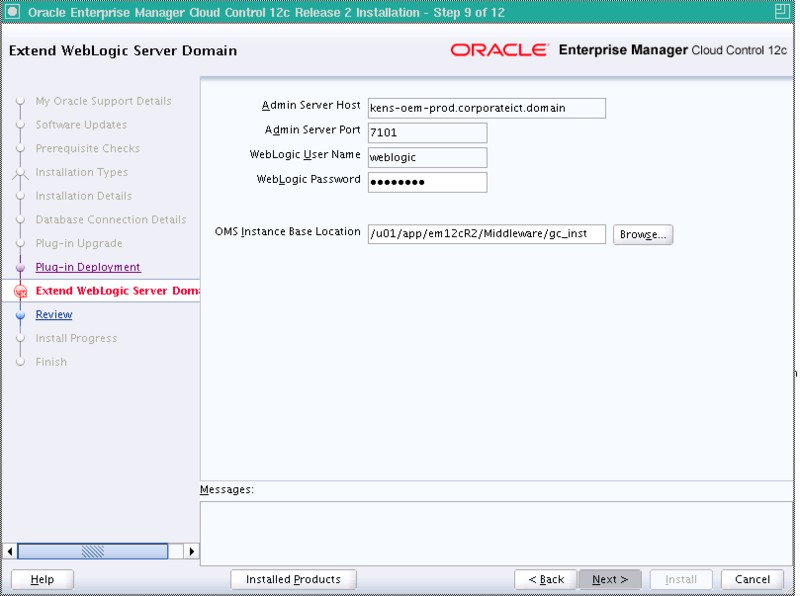 A new Oracle WebLogic domain is created using the existing Administration Server configuration details . 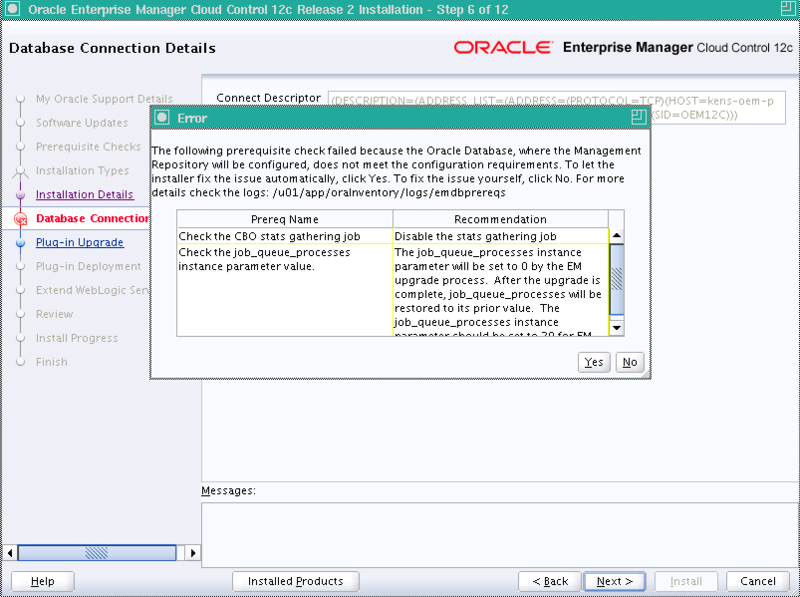 It creates a new Oracle Management Service Instance Base directory (gc_inst) for storing all configuration details related to Oracle Management Service 12c R2. 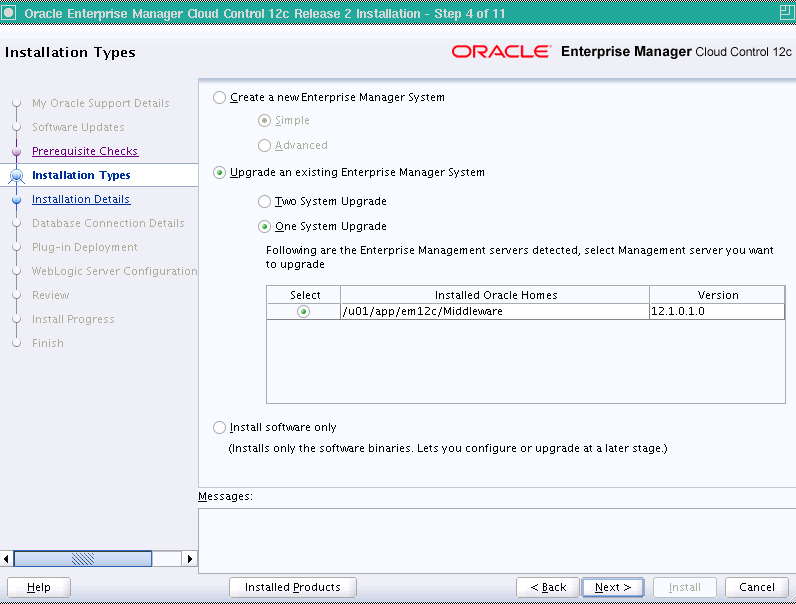 The installer does NOT upgrade the existing 12.1.0.1 Management Agent that was installed with the OMS. 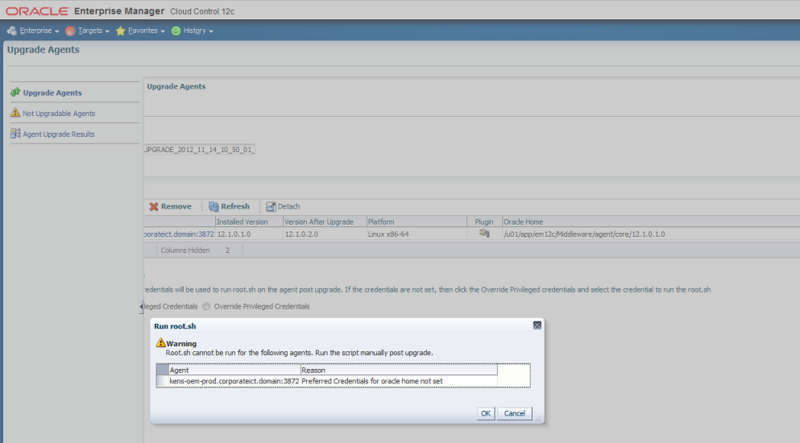 You must upgrade it (and all other Management Agents) using the Upgrade Agents Console. The ports used by the earlier release of the Management Agents are carried over to the upgraded Management Agents so we do not need to make any changes to our firewall settings as such. 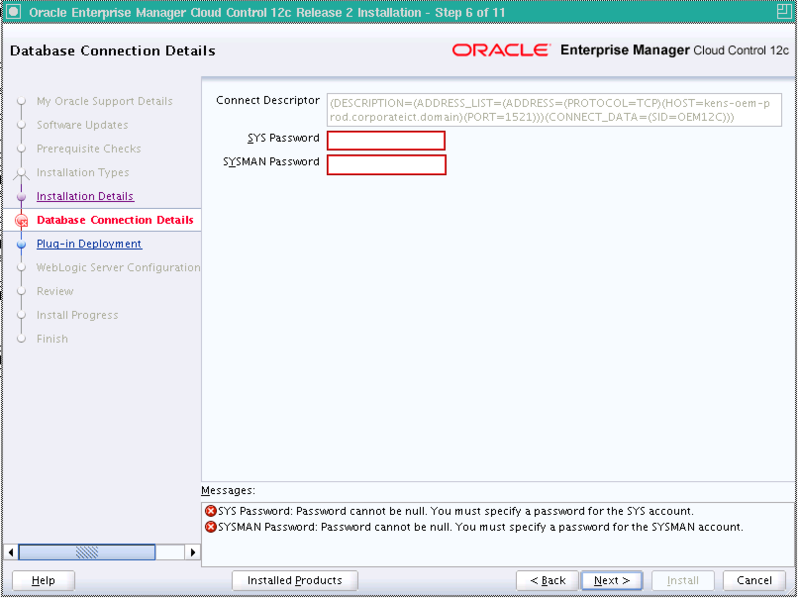 The 12.1.0.1 agent is compatible with the EM 12c Release 2 OMS. 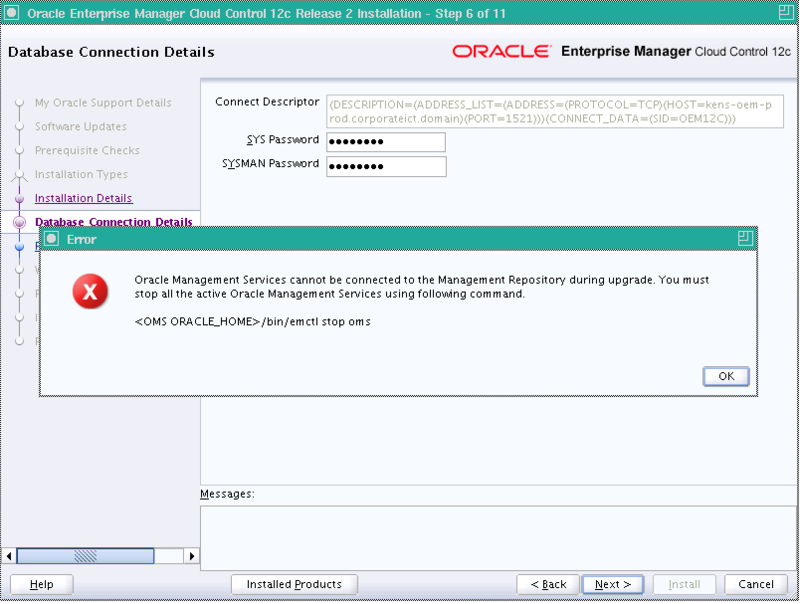 So we can still continue using the 12.1.0.1 management agents with the 12.1.0.2 OMS, but a preferred option would be to upgrade the existing 12c Release 1 agents. 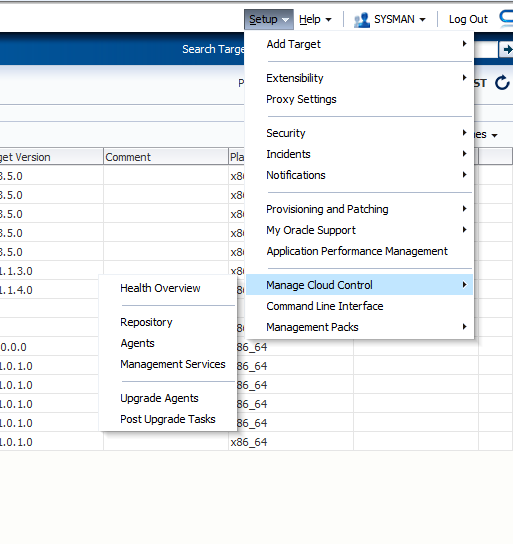 After the upgrade we can see that an additional item has been added to the SetUp menu which is Manage Cloud Control. 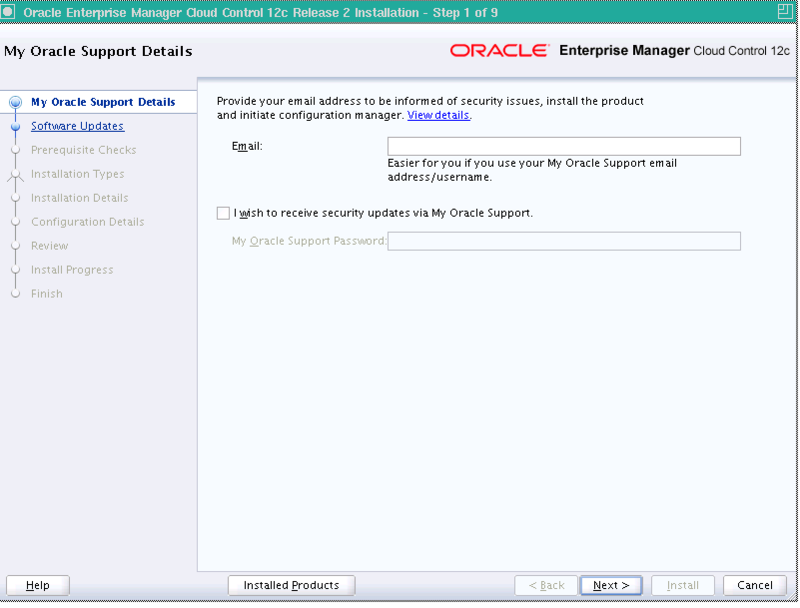 From the Manage Cloud Control menu option we select Upgrade Agents. We can now see a list of all our existng 12.1.0.1 agents. Select the agent we would like to upgrade. In this case Privilege Delefation setting has not been setup for this particular host so we need to run the root.sh manually. 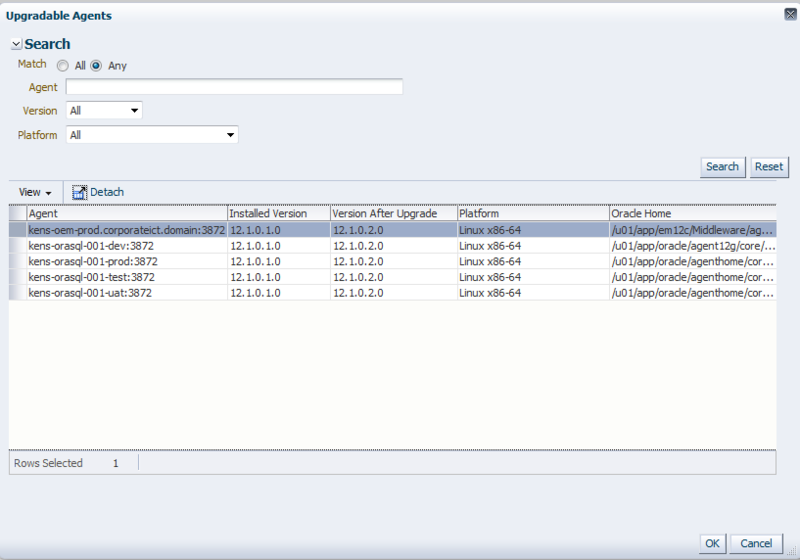 Note that after the upgrade a another directory called 12.1.0.2.0 is created under the AGENT_HOME base/core.